Mi Notebook Air 12.5 Inch Variant To Arrive In PH Thru Widget City, Priced At 29990 Pesos! 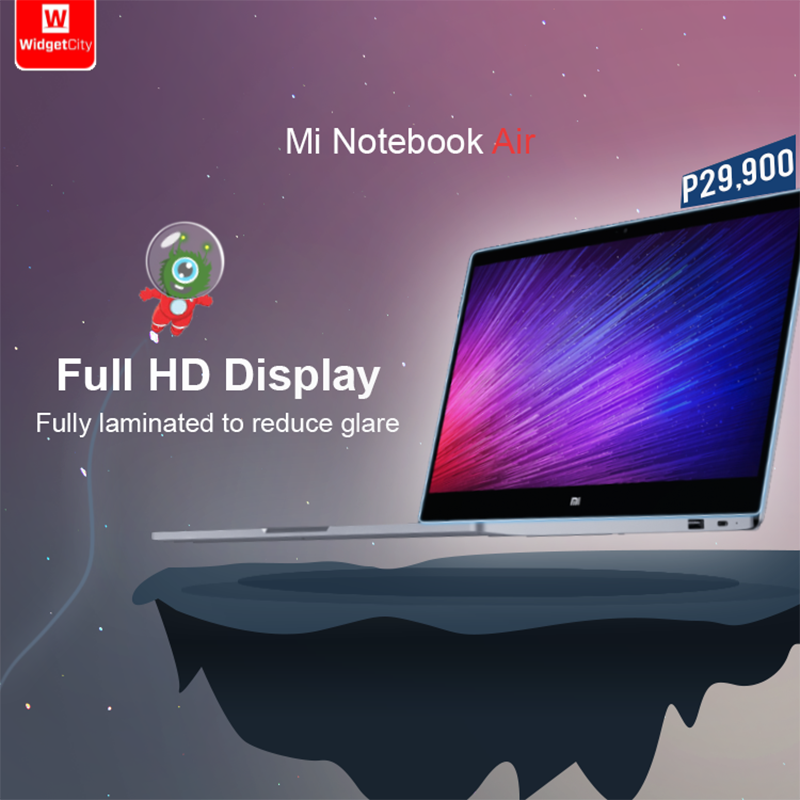 Home / news / pc / xiaomi / Mi Notebook Air 12.5 Inch Variant To Arrive In PH Thru Widget City, Priced At 29990 Pesos! Earlier, Widget City has announced that they'll bring the Mi Notebook Air 12.5 inch model here in the Philippines. In case you missed it, the Mi Notebook Air is Xiaomi's first ever Windows 10 powered laptop that aims to be a "Macbook Air Killer". It's a super light and slim laptop that has the power of a casual everyday PC. It's equipped with a 12.5 Inch FHD 1920 x 1080 resolution at 176 ppi that's view-able even under direct sunlight, runs with Intel Core M3 quad core processor, 4 GB RAM, 128 GB storage, and 40 Wh of battery capacity that can last up to 11.5 hours of straight usage. The Mi Notebook Air is also complete with an HD camera, Bluetooth, 1x USB Type C, 2x USB 3.0, HDMI slot, and fingerprint scanner. Note: For now, only the 12.5 inch model will be available, there's still no word about the 13.3 inch edition. The Mi Notebook Air 12.5 inch variant will be available this 3rd week of August at Widget City Hub. It'll be competitively priced at 29,990 Pesos with store warranty only.